It turns out that the Fake News has managed to use a picture of little Hondorus girl and told the world she was taken from her mother. The girl’s father has come out and made it clear that she was NEVER taken from her mother and she is with her mother in the immigration center in McAllen, Texas where they have applied for asylum. 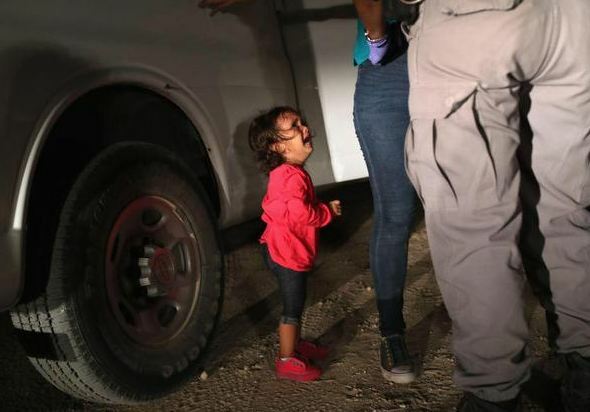 The girl’s confirmed father, Denis Valera, told Reuters: “My daughter has become a symbol of the … separation of children at the U.S. border. She may have even touched President Trump’s heart.” The Honduran deputy foreign minister Nelly Jerez confirmed Valera’s version of events. So once again we have clear evidence of Fake News simply desperate to discredit Trump at every possible step. The United States is slipping into a state of two countries. The left simply hates the right and the right cannot understand the left. This is the very condition that is the forerunner of a civil war. It really does not matter that the truth comes out about this little girl. People believe what they want to believe which is self-evidence of how rapidly the media will jump on anything to create dissent, hatred, and division with the United States. They are doing an excellent job at creating disunity and this will not end well. The War Cycle internally within the USA turned up beginning in 2014 and moves intensely into 2024-2025.